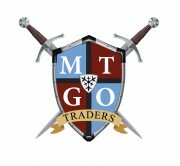 mtgotraders had the most liked content! Took a while but I finally have the "mega set" with all the new ones. https://www.amazon.com/gp/product/B07LHLVG28 If you just want a specific color we have those here: http://www.capefeargames.com/products/search?q=monster+rocks Please let me know what you think. Feedback is always welcome! Here are the new ones we have coming out later this month. Please let me know what you think. Glad you are enjoying the monster rocks. Anything I could do to make them better?